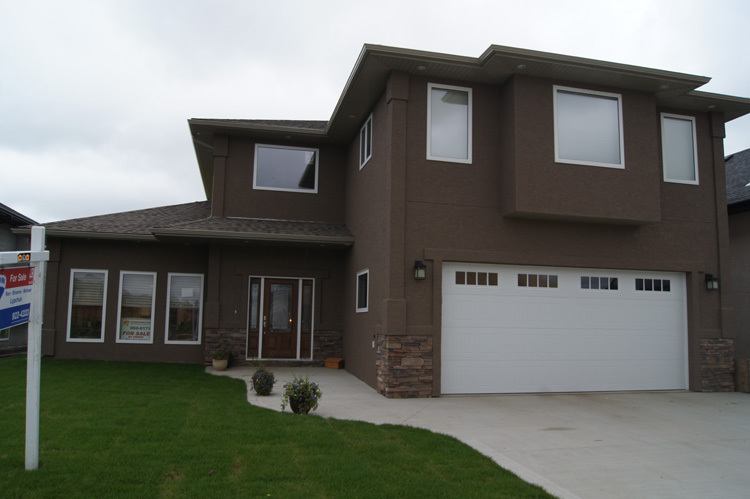 We are a custom home building company located in beautiful Prince Albert, Sk. Taking into consideration the recent price increases in the real estate market, the sometimes undesirable surprises that an older home may hide, we at Gold Star Homes Ltd can provide you with a brand new home that will be covered under the "New Home Warranty Program" at a comparable price tag of an older home. We take pride in getting to know you, understanding your needs and desires and turning your dream to reality. Our experienced drafts person will create your very own house plan or if you wish, you can choose from one of our existing plans. Our goal is to provide you with a new, high quality home at an affordable price that you will be pleased to live in for years to come. If you are in the market for a house, please do yourself a favor and call us. Come explore all of your options before committing to what is for most, a lifelong investment. We want you to be satisfied and comfortable with the decision you make going forward. Should that decision be go forward with us, we will guarantee you satisfaction and peace of mind. The information is on this website is as correct as we thought it to be when we created it. We are not responsible for any errors in the information, promotions or images. Promotions are subject to change without any notice. Please report any errors or misinformations to Gold Star Homes LTD (see contact page for contact info) or to the web creator at marc@marcrenaud.com.